Should be a badass 993 once done! Can't wait to see the finished product. My 993 is undergoing surgery as we speak, from NB to RSR. Your 993 is one of my favorites - you going to start a build thread? Well where the hell are those photos?! Or thread?! Great project and worth doing for a track car. Those are RS outers, still available from any dealer but they do come attached to RS rubber inners. Sorry about the OT: I know it's been posted many times before... But I can't seem to find it in a search. What is the part number for the RS outer only? 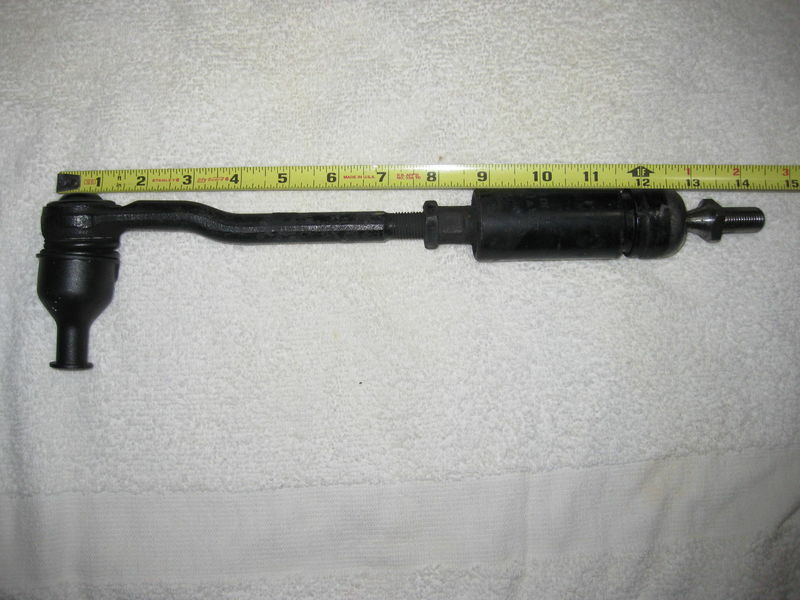 I don't need the inner part of the tie rod, just the outer RS section. Back to normally scheduled programming. 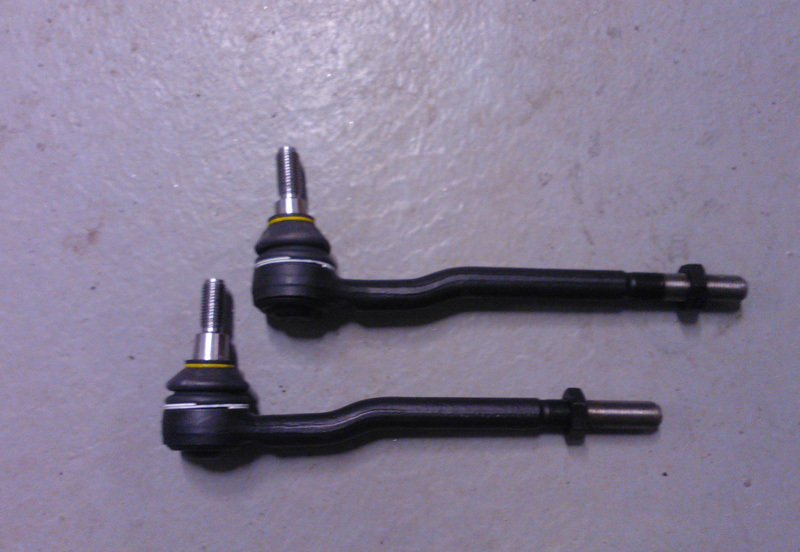 Bill, these are GT2 outer tie rods. They came from a fellow rennlister who had purchased a new set some time ago and only needed the inner pieces. So my question is, are the GT2 and RS outers actually the same part? I was told the GT2 rods were longer!? So are inners longer then? I currently have rs uprights and rs tie rods. So what is needed to push the hubs out that magical 28mm? Wow Juha, great project. It never stops, does it? We need to catch up . It's been a while. The only thing missing in your build list is a set of BBS e88 race wheels for your new project. I have too many of these and need to make some room in the garage. I can probably make widths and offsets/color as you like. You seem to have already made up your mind about the wheels though . Maybe I'll shoot you an email later. Very nice project Juha - it's like a tasteful Finn Rauh-Welt with real ***** underneath. Post pictures of the conversion, it should lots of fun. BTW, this must be more than a few $$$ -> you willing to give an idea of the overall budget? To be sure measure the length of your outer, I have a couple of RS outer/inners that I can measure here. 7" from the outer end to the start of the thread, 14.75" from end to end when set up for a n/b car. I can get an end to end by taking it apart but i'm too lazy. Juha, The hub spacing measures actually measured more like 30mm when I checked on Glen's car and mine. Just measure the hole spacing inside the tub by the gas tank. 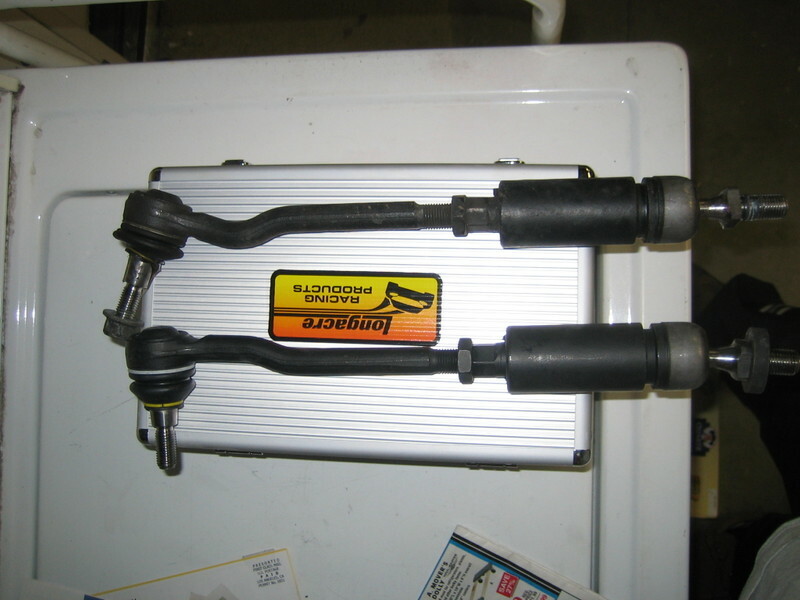 I used ERP GT2 tie rods which had more than enough adjustment range. (this also allowed a variety of bump steer adjustment depending on your ride height with the supplied billet shims). Wheel barrels may also hit the end knuckle on the ERP tie rods (yes more maching needed). I think your units have more clearance. You will need to move the brake lines a bit also in and the vacuum booster must shift to the left along with the brake lever in the firewall. Glen had Dawe machine the top of his left side carrier (just above the where the tire rod travels through the wheel carrier. This allowed him to not move the vacuum booster as far left as I did. If you do not do this the brake pedal will go to the floor and never return. (the arm will bind on the suspension). I helped Glen on his also and it was pretty much routine after mine was setup, but first time around you really need to figure out all the hurdles to jump over. I have had zero issues with this and the electric pump setup. Both Glen and I run our cars in sprint races (40mins or less) and on smooth tracks. 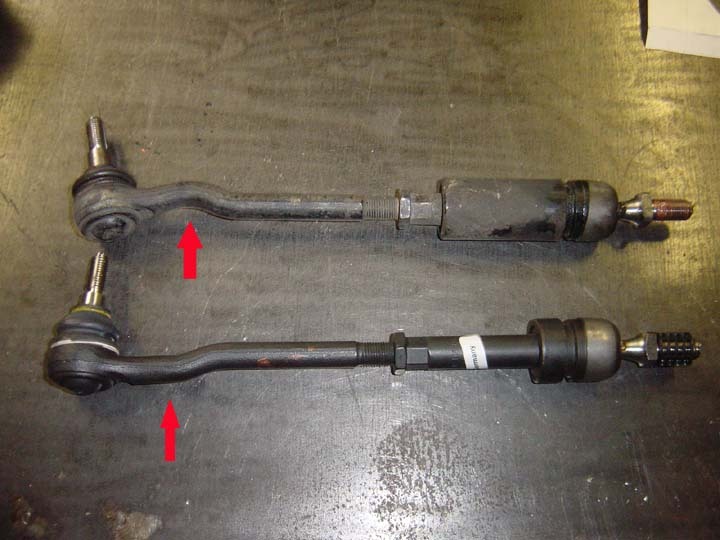 I understand that you cannot buy just the outer part...you have to buy the entire tie rod...part #993-347-031-81. If you get the tie rods you wheel also need the RS wheel carrier...part#993-341-157-81 & 993-341-158-81. Actually, now that I think about it, I know you can buy the inner part of the RS rod separately, just not the outer. According to Andraya at Sunset, the GT2 tie rod is completely NLA and to her knowledge will not be reissued any time soon. Last edited by jstyer; 02-27-2013 at 12:18 PM. Reason: Added bits. pretty much the same as the ERP version.